1.1. 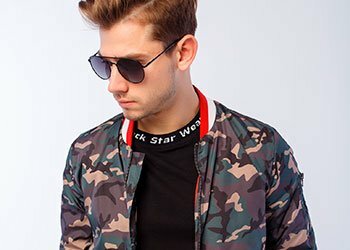 “Online shop” means trading platform of the Seller, located on the web and available by link www.blackstarwear.ru and www.blackstar-wear.com, which content incorporates a catalog of goods offered for sale together with the descriptions and prices – virtual storefront and interactive mechanism of order placement for such goods. 1.2. 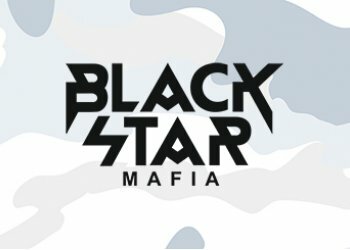 “Website” means a set of electronic data available for viewing on the web on the domains www.blackstarwear.ru and www.blackstar-wear.com. 1.3. “Seller” means Limited Liability Company “BLACK STAR” Fashion Line” (short name - “BLACK STAR” Fashion Line” LTD). 1.4. “Customer” means sui juris individual, placing orders on the website www.blackstarwear.ru and www.blackstar-wear.com, either indicated as consignee of the goods or using the goods, bought on the websites www.blackstarwear.ru and www.blackstar-wear.com, solely to satisfy personal, family, household and other needs, which are not of business nature. 1.5. “Goods” mean an object of the physical world, which is not withdrawn from civil circulation and offered for sale on the Website. 1.6. “Order” means properly placed Customer’s request for delivery of the Goods selected on the Website to the indicated address. 1.7. “Customer’s user account” means a personal Customer’s account with the online shop, which shall be credited with the funds in case of return or rejection by the Customer of previous paid order. These funds shall be used as a prepayment for further orders to be placed by the Customer at the Seller, or returned to the Customer in the same way as the payment was made. 1.8. “Delivery service” means third person delivering the orders to the Customers in virtue of agreement executed with the Seller. 1.9. “Sales Promotion” means an event aimed at growth of sales, drawing of customers’ attention to products, strengthening of entity’s positions in the market. The Sales promotions are posted on the site in the form of gifts, prizes and discounts. 2.1. The Website is owned and administered by “BLACK STAR” Fashion Line” LTD.
2.2. By ordering the goods via the online shop the Customer agrees to the mentioned below terms of this offer (“Offer”). 2.3. This Offer and information on the Goods presented on the Website, constitute the public offer in compliance with Art. 435 and Sec. 2 Art. 437 of the Civil Code of the Russian Federation. 2.4. The relations between the Customer and Seller shall comply with the provisions of the Civil Code of the Russian Federation on the retail sale and purchase (§2 Cap. 30), and Law of the Russian Federation “On protection of consumers’ rights” dated 07.02.1992 No. 2300-1 and any other regulations approved in compliance therewith. 2.5. The Seller holds the right to amend the terms of this Offer, and, in this connection, the Customer undertakes to track such amendments by him/herself. 2.6. The Customer agrees to the terms of this Offer by clicking the “Confirm order” at the last stage of order placement process on the Website. 3.1. In order to place Order and get access to the personal account, the Customer shall register on the Website. 3.2. The order may be placed without registration on the Website. 3.3. During registration on the Website and getting opportunity to use the personal account the Customer shall provide the following details: surname, given names, date of birth, e-mail, password to access the website. 3.4. The Customer shall be personally liable for correctness of information provided during registration on the Website. 3.5. The Seller shall not be liable for correctness, accuracy and reliability of information provided by the Customer at registration. 3.6. The Customer undertakes not to disclose the login and password, provided during the registration on the Website. In case the Customer doubts about security of his/her login and password or possible unauthorized use of the same by the third parties, the Customer shall notify immediately the Seller by sending an e-mail through “Feedback” Section. 4.1. The Customer may place his/her order as follows: by telephone or on the Website by the Customer. Procedure of Order placement is described in more details in “Order Placement” section. 4.3. Upon the order placement, the Customer will be provided with information on the expected date of order transfer to the delivery service. Such date depends on the availability of such goods in stock of the Seller’s warehouse and time needed to process the Order. 4.4. If the Customer places the order on goods in quantity unavailable in stock of the Seller’s warehouse, the Seller shall inform the Customer by sending a notice. The notice shall be sent to the e-mail, indicated by the Customer at registration, or by calling a telephone number, indicated during the order placement. The Customer may agree to accept the Goods in quantity available at the Seller, or cancel such Goods item in the order. If no reply of the Customer is received during 14 (fourteen) days, the Seller may cancel such item of Goods in the Order. 4.4.1. The Seller may cancel the Orders of the Customer, containing the Goods, which were previously rejected by the Customer at least 5 times, together with the statement of reasons, which are not concerned with the availability of the defects in such Goods. 4.4.2. The Seller may refuse to enter into agreement and place Order, if the Customer already encounters other placed, but not received orders, in total amount of at least 50 000 rubles. 4.5. The expected time to deliver the Goods to the Seller’s warehouse shall be posted on the Website near the Goods. The final time of Order receipt by the Customer depend on the address and region of delivery, operations of particular delivery service, and shall not be regulated by the Seller. 4.6. All information materials, presented on the Website, are for reference only and can’t convey in full the reliable information on the properties and characteristics of the Goods, including colors, sizes and forms. In case of any questions arise with respect to the properties and characteristics of the Goods before the Order placement, the Customer shall apply to the Seller. 4.7. In case the ordered Goods are not available at the Customer’s warehouse, including by reasons not depending on the Seller, the Seller may cancel such Goods in Customer’s order and notify the Customer by sending e-mail to the address indicated during registration, or by calling the telephone number indicated during Order placement. 4.8. In case of cancellation of prepaid Order in full or in part, the cost of the cancelled Goods shall be indicated in the Customer’s user account and repaid by the Seller to the Customer in the same way as used for prepayment of the Goods. 4.9.1. The Seller may offer for preorders on the Website the Goods which haven’t already come to sale and missing at the Seller’s warehouse. Such Goods shall be executed as a separate Order (“Preorder”). 4.9.2.1. The Website shall indicate with respect to the Goods offered for Preorder, the expected time of beginning of sales of the Goods, which may be changes according to information received either from manufacturer of supplier of such Goods. 4.9.2.2. In case of changes in time of beginning of sales of the Goods, a notice shall be sent to the Customer’s e-mail, indicated by the Customer during the registration on the Website, or by calling a telephone number indicated during the Order placement. 4.9.3.1. The price on Goods offered for preorder on the Website shall not be treated as final price. In case of changes of price by the manufacturer of supplier of the seller, the Seller may change the price, including on the already placed Preorders. In such case, the placement of the Preorder under the changed price shall be done by cancelation of initial Preorder by the Seller with simultaneous notification of the Customer via e-mail, indicated during registration on the Website, or by calling a telephone number, indicated during the Order placement, and placement of Preorder by the Customer on the Goods under a new price. 4.9.3.2. The Customer may reject to place the Preorder on the Goods under a new price. In such case and subject to payment of the Preorder, the funds shall be indicated in Customer’s user account, and, by written application of the Customer may be returned in the same way as used for initial prepayment. 4.9.4. In compliance with p. 1. Art. 157 of the Civil Code of the Russian Federation, in case of Preorder placement, the responsibility of the Seller to transfer the Goods arise, if the sale of Goods begins. If the beginning of sales of the Goods is canceled or suspended for an indefinite period of time by manufacturer without Seller’s fault, the Seller may unilaterally cancel the Preorders. In such case, the funds transferred by the Customers to pay the Goods included in the Preorders, shall be credited to the Customer’s user account or returned in virtue of written application of the Customer, in the way used for initial prepayment. 4.9.5. When the Goods come to the Seller’s warehouse, the Customer’s Preorder shall begin being processed and the Customer shall be notified on the expected date of Preorder transfer to the delivery service in manner agreed for the Orders. 4.10. Peculiarities of sales of the cut-price Goods. 4.10.1. The Seller may offer for sale the Goods with the defects indicated in the Goods description on the Website, and in the forwarding documents to the Goods. 4.10.2. In case of revealing by the Customer of any defects, which are not indicated by the Seller during the sale of the Goods, the Customer may claim free repair of defects, replacement of the Goods or termination of agreement, provided by applicable law, if it proves that the defects arose before the transfer of the Goods to the Customer due to the reasons arisen before such transfer. 4.10.3. These terms will apply to any other matters of the price-cut Goods. 4.11. Buying Goods under Sale Promotions. 4.11.1. In case of buying Goods under Sale Promotion, the Customer shall assume the responsibilities to acquaint with the Rules of the Sale Promotion posted on the website. 4.11.2. The Customer shall be independently responsible under the tax liabilities before the Federal Tax Service, indicated in p.1 Art.210 of Tax Code of the Russian Federation pay independently income tax charged on the cost of the gift or prize received under the Sales Promotion, which cost is more than 4000 (four thousand) rubles. 5.1. The methods of Goods delivery are posted on the Website. 5.2. The Seller shall do its best to comply with the delivery deadlines indicated on the Website, but the delayed deliveries may occur due to Force Majeure arising not through the sellers fault. 5.3. The risk of accidental loss or damage of the Goods shall pass to the Customer from the moment of Order transfer to Customer and signing by the Order recipient of the documents confirming the delivery of the Goods. In case of non-delivery of the Goods, the Seller shall reimburse the cost of the Order prepaid by the Customer and the cost of delivery after receipt of Order loss confirmation from the delivery service. 5.4. The cost of each Order shall be calculated individually, proceeding from its weight, volume, region and method of delivery, and payment method sometimes. In case of Goods pick-up by the Customer from the collection point, a fee, including the costs of the seller for goods delivery from the warehouse to the place of collection point. The fee for Goods delivery to the place of collection point shall be calculated individually, proceeding from the weight, volume of the Goods and region where the Goods are to be delivered to. 5.5. At the moment of delivery, the Order shall be handed to the Customer or any person indicated as the recipient of the Order. If it’s impossible to receive the Order placed for payment in cash by any of the above persons, the Order shall be handed to the person ready to provide information on the Order (dispatch number and/or recipient’s surname), and ready to pay the Order in full to the person responsible for the Order delivery. 5.6. In order to avoid the fraud, when handing the prepaid Order, a person responsible for delivery of the Order may request the recipient to show his/her ID, and mark the type and number of such ID provided by the recipient, on the receipt to the Order. The Seller guarantees a confidentiality and protection of recipient’s personal data. 5.7. When transferring the Order, the Customer shall check the appearance and package of the Order, quantity of the Goods within the Order, completeness of set and the product range. 5.8. The time allocated by the Seller for receipt of the Order by the Customer, are approximate and shall be indicated during the Order placement, at the stage of selection of respective delivery method. The time of delivery depends on the delivery service (carrier) selected by the Customer. If the Goods are available at the warehouse, the Seller shall transfer the Goods to the delivery service during 20 calendar days upon placement of respective Order by the Customer. 5.9. Non-receipt of the Order to the Customer within 15 days upon coming of the same to the delivery point indicated by the Customer, shall be deemed as the termination of the sale and purchase agreement by the Customer and will provide grounds to cancelation of the Order by the Seller. If the non-received Order is prepaid, the funds shall be reimbursed to the Customer in manner set forth in section 4.9 of the Offer. 6.1. The price of the Goods shall be indicated on the Website. In case of incorrect indication of the price of the Goods ordered by the Customer, the Seller shall inform the Customer as soon as possible to this effect, in order either to confirm the Order under the corrected price or to cancel the Order. If the Customer can’t be notified, the Order shall be deemed canceled. If the Order is paid, the Seller shall reimburse the amount paid by the Customer for the Order by indication of the same on the Customer’s user account, or repay the funds by Customer’s request in the same way as used for prepayment of the Goods. 6.2. The price of the Goods may be changed by the Seller on its own discretion. The price of the Goods shall be indicated at the last stage of Order placement process and it is valid as of the moment of clicking “Confirm order” button. In such case the price of the Goods ordered by the Customer may not be varied. 6.3. The methods of payment of the Goods are indicated on the Website in “Payment” section. The agreed payment method shall be deemed as the method selected by the Customer of the available payment methods during the Order placement. 6.4. In case of prepayment of the Goods, the processing of the Order shall begin upon crediting of Customer’s funds to the Seller’s bank account only. In such case the Goods shall not be reserved for the Order, and the Seller can’t guarantee the availability of the Goods at the Seller’s warehouse, indicated during the order placement, and consequently the time of Order processing may be extended. If the Customer does not agree to the extension of Order processing time, the Seller shall reimburse the amount paid by the Customer for Order by indication of the same in the Customer’s user account, or repay the funds by request of the Customer in the same way as used for initial prepayment of the goods. 6.5. Peculiarities of goods payment using the bank cards. 6.5.1. In compliance with regulation of the Central Bank of the Russian Federation “On issue of bank cards and transactions operated using the payment cards” dated 24.12.2004 No. 266-П, the transactions with the bank cards shall be operated by the card holder or person authorized by the card holder. 6.5.2. If the Customer pays the Goods with the bank card at Orders delivery point, the Customer shall show his/her ID. 6.5.3. Authorization of transactions with the bank cards is made by the bank. If the bank has any grounds to suggest that the transaction is fraudulent, the bank may reject such transaction. 6.5.4. In order to avoid unauthorized use of the bank cards during the payment, all Orders, placed on the Website and prepaid with the bank card, are subject to Seller’s check. The Seller reserves the right to cancel the Order. The cost of the Order shall be wired back to the bank card of the holder. 6.6. The Seller may provide the Customer with the discounts on the Goods and implement the bonus scheme. Types of discounts, bonuses, procedure and terms of charging of the same are indicated on the Website and may be amended by the Seller on its own discretion. 6.7. The Seller may implement the discounts in order to promote any payment method or Goods delivery method. In such case the Seller may limit the terms of discounts with respect to any groups of the Goods. 6.8. In case of marketing promotion suggesting the enclosure of any objects into the Customer’s orders, delivery of such enclosures shall be for the Customer’s account. In order to reject such enclosure, the Customer shall contact Customer service. 6.9. Custom levies are not included into the cost of the Order. The terms of payment and the amount of customs levies shall comply with the customs law of the destination country of Order delivery. 7.1. Return of goods of proper quality. 7.1.1. The Customer may reject the ordered Goods at any time before the receipt of the same, and within 7 days after receipt of the Goods, the day of purchase excluded. The Goods of proper quality may be returned if they preserve their marketable appearance, consumer properties, and the document proving the fact and terms of purchase of such Goods. 7.1.2. 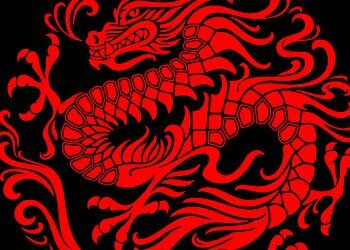 The Customer may not reject the Goods of proper quality, having the properties determined individually, if such Goods can be used solely by the purchasing Customer. 7.1.3. If the Customer rejects the goods according to p. 7.1.1. of the Terms, the Seller shall reimburse the cost of the returned Goods less Seller’s costs of returned Goods delivery from the Customer, within 10 (ten) days after the date of receipt of written application of the Customer by the Seller and return of the Goods. 7.1.4. If the Customer rejects the goods according to p. 7.1.1. and p. 7.1.3. of the Terms, a gift presented together with the Goods, must be returned with preservation of the marketable appearance. 7.2. Return of the Goods of poor quality. 7.2.1. The Customer may return the Goods of poor quality to manufacturer of the Seller and request return of the money paid during the warranty period, shelf life period or, if such period is not agreed, within a reasonable period, not more than two years. The Customer may also request the replacement of the Goods of poor quality or remedy of defects. 7.2.2. In case of agreement termination by the Customer and claiming of reimbursement of money paid for the Goods according to p. 7.2.1. of the Terms, the cost of the Goods shall be reimbursed to the Customer within 10 (ten) days upon receipt of written application of the Customer by the Seller and return of the Goods. 7.2.3. In case of Goods rejection by the Customer according to p. 7.2.1. and p. 7.2.2. of the Terms, a gift presented together with the Goods, must be returned with preservation of the marketable appearance. 7.3.1. The funds shall be reimbursed by bank transfer, if the Customer receives the Goods from the third shipment companies and other mobile collection points, and mobile courier services. - by transfer of respective amount to bank account or any other account of the Customer, indicated by the Customer. 7.4. Procedure in case of Seller’s default with the product range provision (cross-picking). 7.4.1. The rules of Art. 468 of the Civil Code of the Russian Federation shall apply in case of default with the provision of the product range. 7.4.2. If the Goods not matching product range are found in the Order (cross-picking), the Customer may reject such Goods during transfer and request a replacement by the Goods matching a respective product range, indicated in the Order, or reimbursement of funds paid for actually non-delivered Goods. 7.4.3. The Goods transferred to the Customer with the default with the product range provision, shall be returned to the Seller. If the Customer accepts such Goods, the Seller may request the Customer to pay the Goods under the price, determined by the Seller for such Goods on the Website as of the moment of transfer of such Goods. If actually transferred Goods are missing in the Seller’s product range, presented on the Website as of the moment of Goods transfer, such Goods shall be paid under the price agreed with the Seller. 7.4.4. The Goods not matching the required product range shall be replaced by placement of a new Order by agreement between the parties – Seller or Customer – with the payment from the Customer’s user account, where the cost of actually non-delivered Goods is indicated. 7.4.5. If the Seller can’t replace the Goods, the Seller shall notify the Customer by sending a letter to e-mail indicated by the Customer during the registration, and funds, actually paid for non-delivered goods, shall be returned in manner set forth in p. 7.4.6. 7.4.6. The funds actually paid by the Customer for actually non-delivered Goods, shall be credited to Customer’s user account and subject to reimbursement during 10 (ten) days upon receipt of the written application of the Customer for reimbursement of the funds. The amount paid for the Goods shall be reimbursed in the same way as used for the payment of the Goods. 7.5. Procedure in case of Seller’s default with the quantity provision. 7.5.1. During the Order transfer, the Customer shall check a quantity of the Goods in the Order. If the Customer reveals any discrepancies with respect to quantity of the Goods in the Order during the transfer, the Customer shall execute a quantity discrepancy certificate in presence of a Seller’s or carrier’s representative. 7.5.2. If the Seller transfers fewer Goods than indicated in the Order (shortage), the Customer may accept a part of the Goods corresponding to the Order and request transfer of missing quantity of the Goods, or, if the missing Goods are paid, refuse a delivery of missing Goods and request reimbursement of funds for the missing Goods. 7.5.3. The missing Goods shall be transferred by placement of a new Order by agreement between the parties – Seller or Customer, subject to provision of discrepancy certificate (shortage certificate) by the Customer, which certificate shall be executed in manner set forth in p. 7.5.1. 7.5.4. If the missing Goods are previously paid by the Customer, this cost shall be indicated in the Customer’s user account, which is selected as a method of new Order payment. If the missing Goods are not paid by the Customer, they shall be paid by any available method, selected by the Customer or by the Seller upon agreement with the Customer, when placing a new Order. 7.5.5. If the Seller can’t deliver the missing Goods, the Seller shall notify the Customer by a letter to e-mail indicated by the Customer during registration, and the funds actually paid for the missing Goods, shall be reimbursed in manner set forth in p. 7.5.6. 7.5.6. Funds paid by the Customer for the missing Goods shall be indicated in the Customer’s user account and subject to reimbursement within 10 (ten) days upon receipt of a written application of the Customer for reimbursement of the funds, and quantity discrepancy certificate (shortage certificate), prepared according to p. 7.5.1. The amount paid for the Goods shall be reimbursed in the same way as used for the payment. 7.5.7. In case of Customer’s default with provisions of p. 7.5.1 pertaining to certificate preparation, the Seller may reject the Customer’s claims with respect to the quantity of transferred Goods. 7.6. Return of goods presented as gift. 7.6.1. The Goods presented as gift is not subject to return, replacement and after-sales service. 7.7.1. Any properties of the Goods posted on our Website may be changed by manufacturer by its own discretion. The Seller guarantees only compliance oа the properties indicated in the sales slip (or invoice) in compliance with Art. 437 of the Civil Code of the Russian Federation dated 30.11.1994 No.-51-FZ-Sec. 1. 7.7.2. During the transfer of the Goods to the buyer, the buyer shall check the completeness of a set according to the provided manual and check the appearance of the bought Goods. If the manual misses the description of complete set, the buyer shall use official information provided by the manufacturer on its official website. 8.1. All text data and images posted on the Website shall be deemed as the property of the Seller and/or its counterparties. 9.1. The Seller shall not be held liable for the damage caused to the Customer due to improper use of the Goods ordered on the Website. 9.2. The Seller shall not be held liable for the contents and operation of the third websites, which are not directly related to the Seller. 9.3. The Seller may assign or otherwise delegate to the third parties its rights and obligations arising of its relations with the Customer. 9.4. The Customer undertakes not to use the ordered Goods for the purposes of business. 10. CONFIDENTIALITY AND PERSONAL DATA PROTECTION. 10.1. In order to purchase the Goods in Online shop, the Customer shall provide the Seller with his/her personal data. 10.2. Providing his/her personal data, the Customer agrees to processing of the same by the Seller, including for promotion of Goods and services by the Seller. 10.2.1. If the Customer does not want his/her personal data to be processed, he/she shall notify the Customer service. In such case all information received from the Customer (including login and password) shall be deleted from the customer base of the Seller and the Customer will be unable to place his/her Orders on the Website. 10.3. Use of information provided by the customer and received by the seller. - for determination of winners of sale promotions conducted by the Seller. 10.3.2. The Seller may send the advertising and information messages to the Customer. If the Customer does want any such mailings from the Seller, he/she shall change respective settings of mailing in his/her personal account, or apply to Customer service of the Seller. 10.4. Disclosure of information received by the seller. 10.4.1. The Seller shall not disclose information received from the Customer. Disclosure of information by the Seller to agents and the third parties, acting in virtue of agreement with the Seller to comply with obligations before the Customer, shall not be treated as default. 10.4.2. Disclosure of information in compliance with the grounded and applicable regulations of law shall not be treated as default with confidentiality provision. 10.5. The Seller shall not be held liable for data provided by the Customer on the Website in public access. 10.6. The Seller shall not be held liable for the losses, which may be encountered by the Customer as a result of his/her login and password becoming known to the third party. 10.7. If the Seller suspects using of the personal account of the Customer by the third party or by malicious software, the Seller shall change the password of the Customer on its own discretion. The Customer shall apply to the Customer service of the Seller in order to restore the password. 11.1. Law of the Russian Federation shall govern relations between the Customer and the Seller. 11.2. Should any questions or claims arise at the Customer, the Customer shall apply to Customer service of the Seller by telephone or through the feedback form on the Website. The Parties agreed to settle all of the arising disputes by negotiations. Iа the parties can’t agree, the dispute shall be transferred to consideration of the court authority in compliance with applicable law of the Russian Federation. 11.3. If the any of terms of this Offer is declared invalid by a court, the rest of its terms shall remain fully valid. 11.4. The time of validity of Offer of Goods in online shop BLACK STAR WEAR is limited by availability of any Goods at the Seller’s warehouse. 11.5. The claims to the quality of the Goods are accepted at the Seller’s location.